Your browser's new tab page will not be boring anymore. Customize your browser's new tab page with multiple widgets and get the most out of it. Add, arrange and order however you want. Apart from bookmarks and frequently visited websites, you can add your favorite links and organize them into groups. Launch any number of websites or links with a single click. 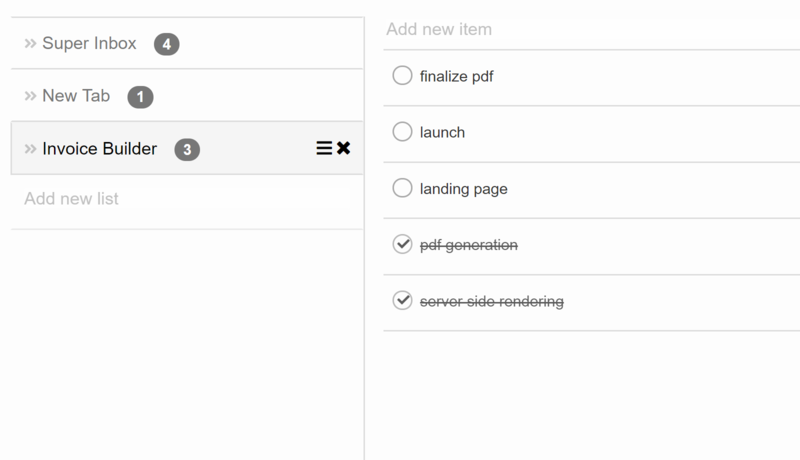 Organize your tasks into multiple todo lists. Get your important tasks done so that you never get behind. Todo lists on your new tab page means you are reminded everytime you open a new tab. 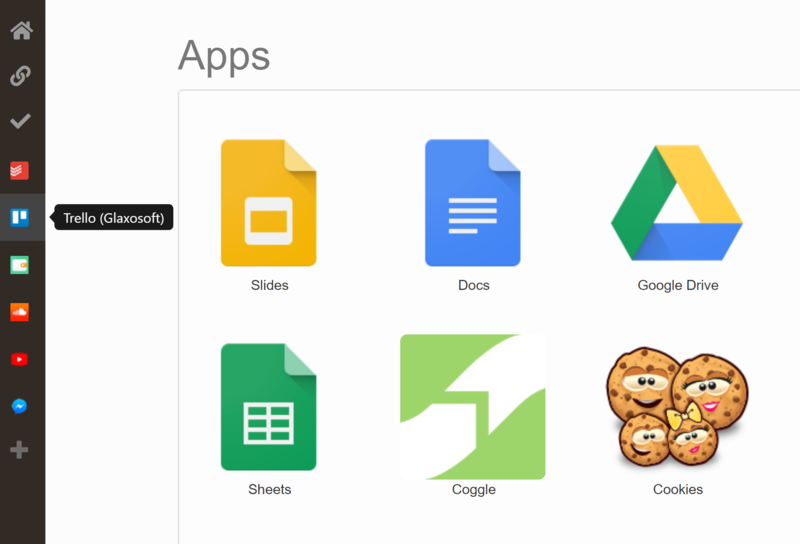 Things get awesome when you can access your favorite apps right inside your new tab page. 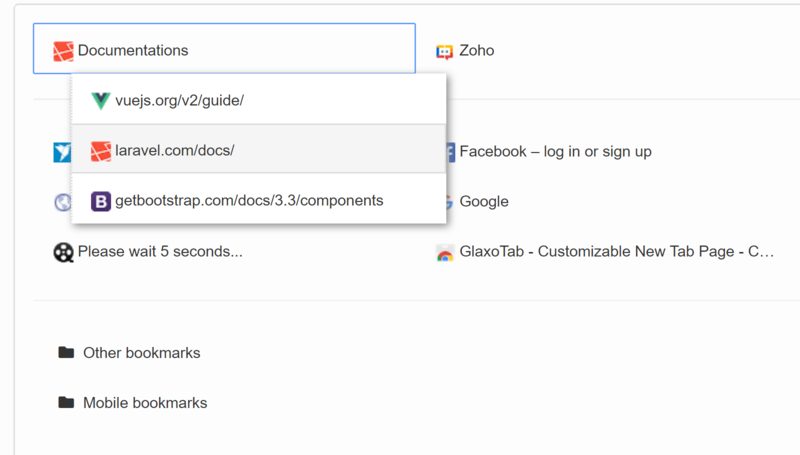 You can add any web app into your new tab page as a widget or a full remote app. Add apps like Trello, Todoist, Slack, Asana, Messenger or just any remote app. Remote apps that work inside your new tab page. Keyboard shortcuts so you do everything quick. 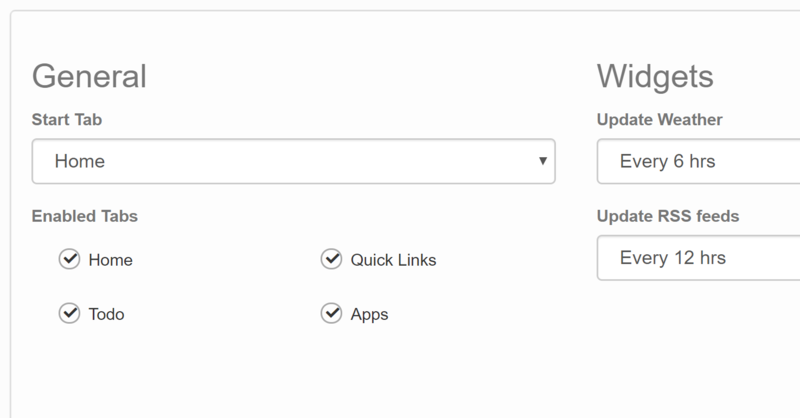 Fully customizable that you can even disable individual features. There is much more to this browser extension which is waiting to be explored by you.